Serigraphs on paper, 60 x 80 cm. Edition of 30. 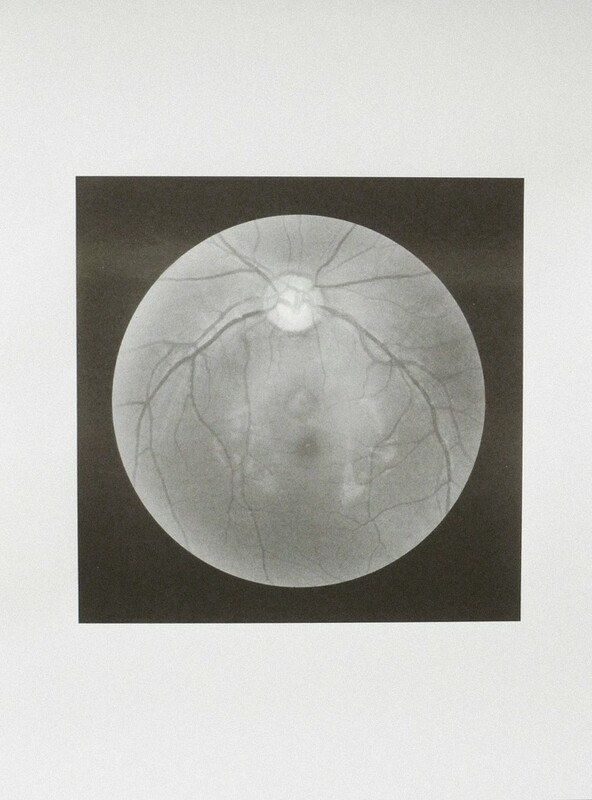 Angle mort is a serigraph edition of two medical images from a scan of the blind spot within the eye. Georges Didi-Hubermann says that"to see" is to feel that something is ineluctably escaping us, in orther words, to see is to lose. 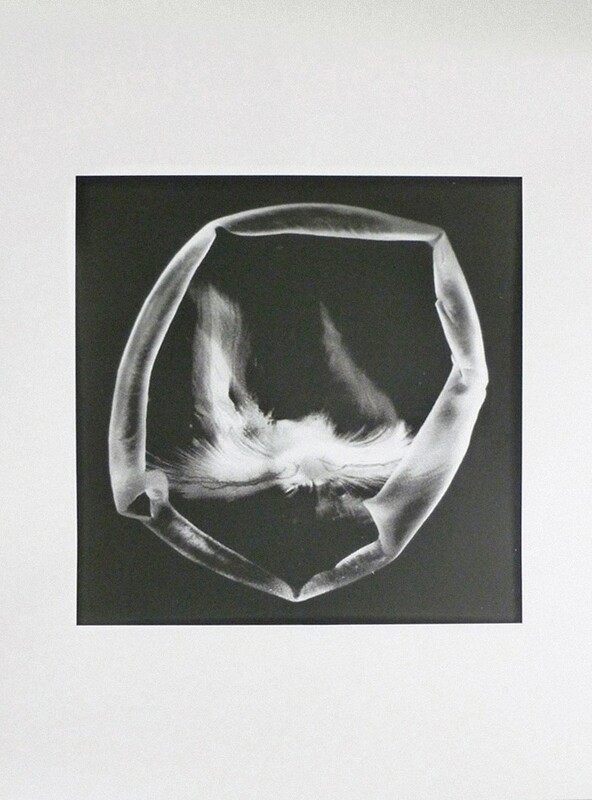 In the series "angle mort", the images show the optical blind spot in the human eye, therebly questioning our perception. An image of the eye is seen from the inside, the imprint of a dark area. The first documented observation of the phenomenon was in the 1660's by Edme Mariotte in France.